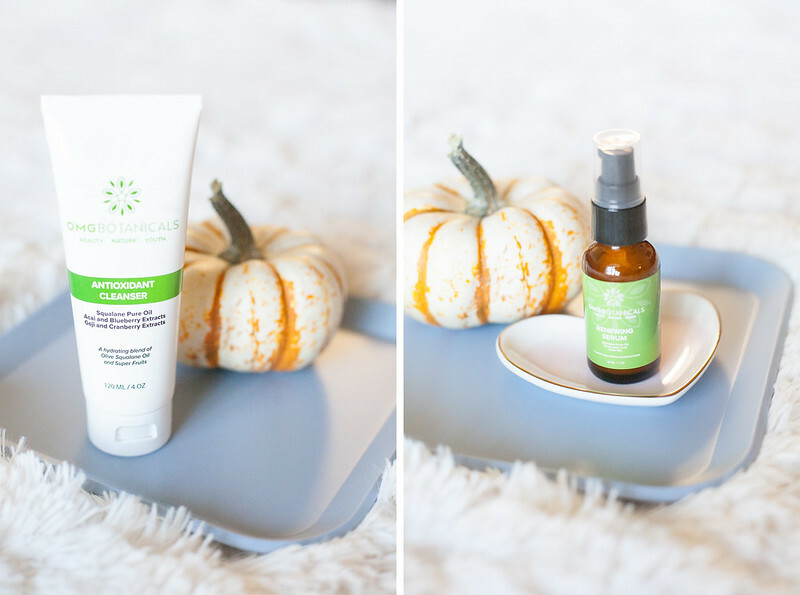 by gillian claire: 2 New Skincare Products I'm Adding to My Routine! 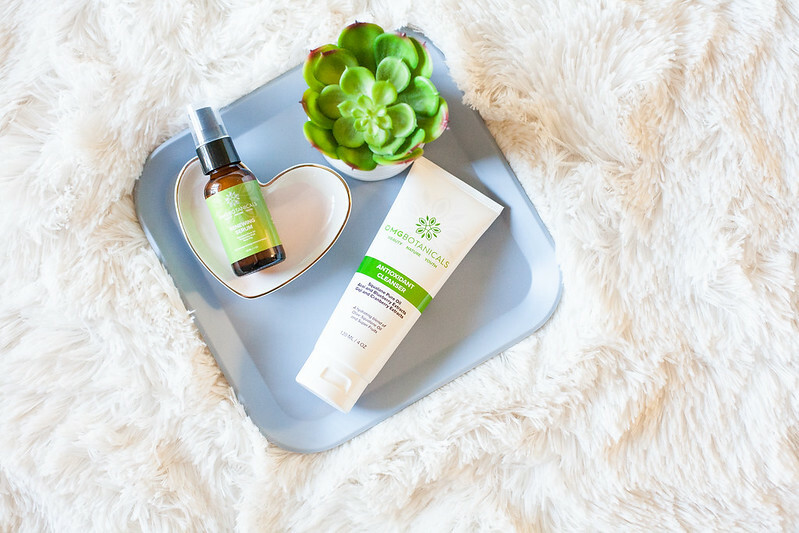 I'm so excited to share a new wonderful skincare company with you guys today! I am very picky about the beauty products I share with you all on my blog and I was really intrigued by OMG Botanicals, a start-up company dedicated to creating safe and natural products! I am always looking for ways to clean up my skincare routine. All of the skincare and aromatherapy products at OMG Botanicals are paraben, formaldehyde, phthalate and GMO free! Upon learning more of OMG Botanicals' story and their "integrity, passion and love," for their customers as well as their commitment to safe ingredients, I fell even more in love with this company! Of course, I am really pleased with these products (which is why I'm sharing!) but having the opportunity to promote products that work and also come from a company that cares and is committed to wellbeing gives me all those, "I love blogging!" feelings! My main skin concerns are dealing with breakout prone skin as well as finding anti-aging products that will keep my skin healthy and youthful! You know I have been on a journey to fighting breakouts for a while. I breakout the most around my mouth and chin as well as getting occasional cystic pimples that seem to be hormonal, as well as very painful! For the past few months, I have been strictly using the oil cleansing method to wash my face. The oil cleansing method makes so much sense to me and I had hope that it would be a fix all cure for me! I have really loved using all natural oils to clean my face, but it hasn't been a miracle on my skin. In the past month, I've decided that I need to add something else to my cleansing routine. 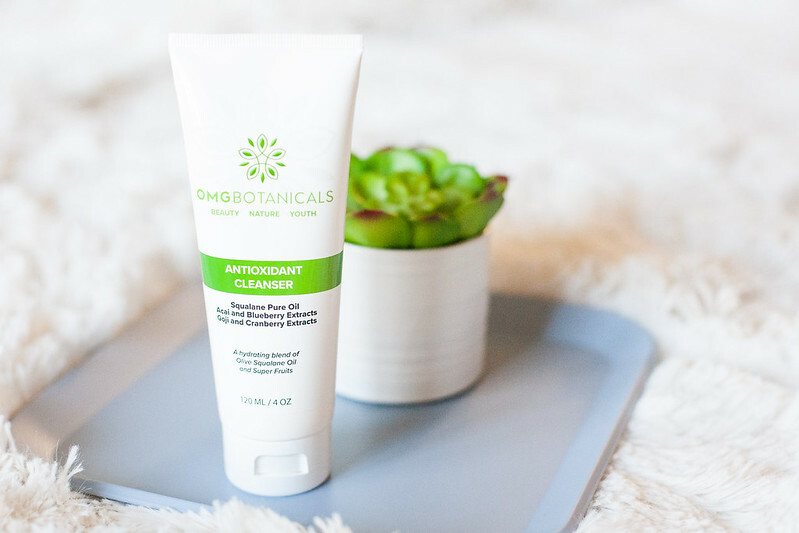 I've added this Antioxidant Cleanser from OMG Botanicals to my routine and I'm really happy with my results so far! First of all, I love that this product uses safe, natural and non-toxic ingredients. The smell is very minimal and fresh, which is perfect for me. This cleanser is creamy and very soothing to the skin. I have extremely sensitive skin and haven't had any negative reactions or breakouts as a result of adding this to my skincare routine. 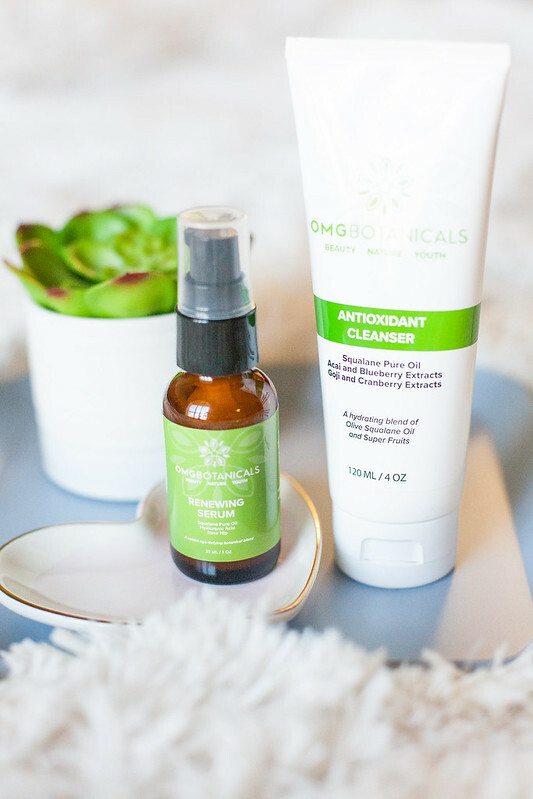 The OMG Botanicals Antioxidant Cleanser uses a blend of Olive Squalane Oil and superfruit extracts! I love that I'm adding another natural oil product to my routine and the superfruit extracts add amazing free-radical fighting benefits! This cleanser is intended for soothing breakouts and minimizing pores. I have noticed that adding this cleanser morning and night to my routine has given my face a deeper clean. Most importantly to me, it has helped to dry out previous breakouts gently without over drying and making my feel face stiff like Salicylic Acid products tend to do. 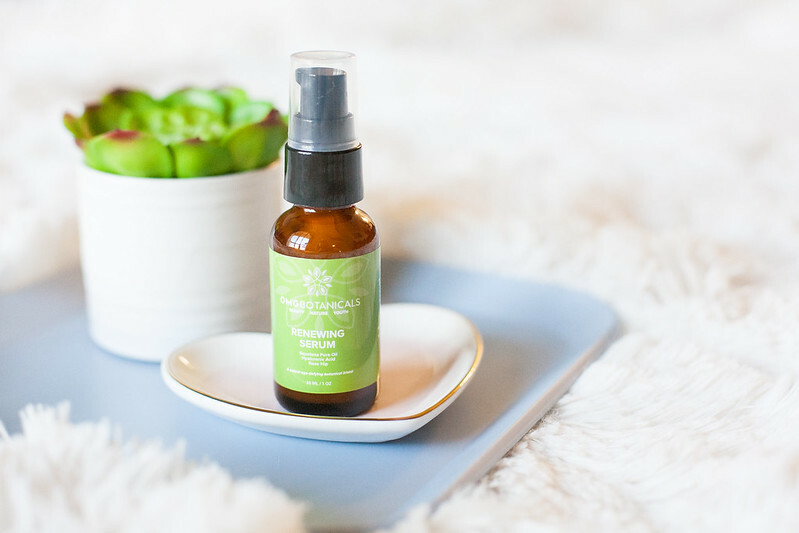 In conjunction with the Antioxidant Cleaner, I have added this OMG Botanicals Renewing Serum. This serum also contains Olive Squalane Oil as well as Hyaluronic Acid and Rose Hip Extract. I love using this serum after washing and drying my face morning and night. It feels so luxurious and hydrating! The Renewing Serum is meant to plump, renew, hydrate and nourish your skin. If you aren't already familiar with Hyaluronic Acid, it's a great anti-aging ingredient that naturally occurs in our skin but declines as we age. I definitely see the plumping action of this product the morning after I use it which is my favorite aspect! Overall I am so pleased with the two new OMG Botanicals products that I have added to my skincare arsenal! These two products are made to work together so it's a perfect duo for me to work on fighting breakouts while also adding back moisture and anti-aging defense to my skin! I will keep using them twice a day and am encouraged that I will continue to see improvements with breakouts and anti-aging. I will, of course, keep you all posted! Be sure to check out OMG Botanicals and use code: OMG20 for 20% off your purchase! What a great skincare find! Yes, I'm so happy when I come across a new awesome beauty brand! Those beauty finds look amazing - I love naturally based products! Agreed, I love knowing that what I put on my face is more natural! I'm always glad to learn about skincare products that use natural ingredients, thanks for sharing! You're welcome; thanks for reading! Thanks for sharing! 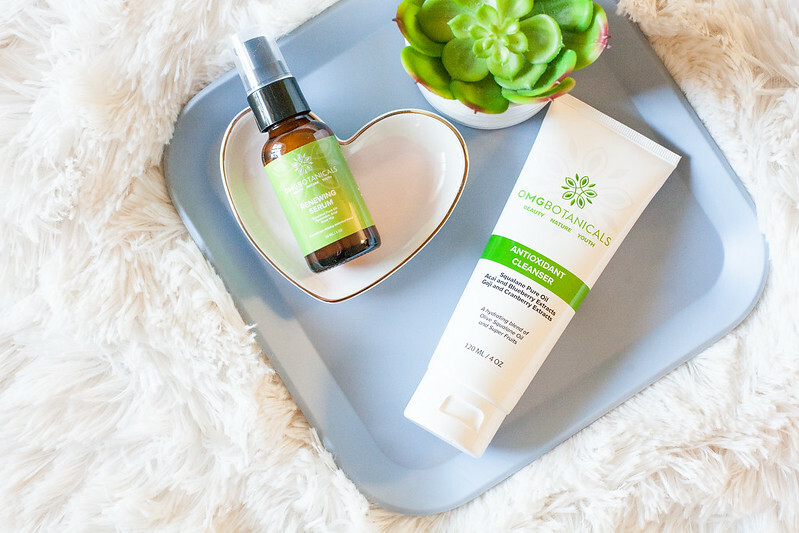 Such great products to add to your routine. Of course, thanks for stopping by!